I would like to receive occasional information and updates from Spear Harrow 2017 and jumblebee. Spear is an award-winning twelve-month programme that helps young people from disadvantaged backgrounds to enter and sustain employment. We have a strong track record of achieving significant results – Over three quarters of those who complete Spear return to education or go on to work, and are still there a year later. This auction is open for you to bid online until 10 p.m. on Saturday 18th November. All these prizes having been kindly donated by individuals and local businesses. Please bid generously. 100% of profits go to the work of Spear - THANK YOU. S-Pilates are Physiotherapy-led sessions designed to stretch, strengthen and tone your body in a pain-free way. Pilates is a form of low impact conditioning exercise improves general flexibility, promotes good postural alignment, restores muscle balance and helps you feel relaxed and revitalised after every class. It is suitable for people of all ages and fitness levels. It is particularly beneficial for those who suffer with low back pain, neck and shoulder stiffness, and poor posture. For those who sit over a computer all day, or drive for long hours. Pilates is an ideal form of exercise to combat the effects of sitting in one position for long periods of time.All S-Pilates sessions are Physiotherapy-led and will be carried out with expert knowledge of the musculoskeletal system and experience of rehabilitation through exercise for various conditions. With all session’s being Physiotherapy-led there is greater assurance that exercises will be performed safely, effectively and modified to the appropriate level for you under expert guidance. 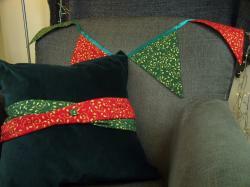 Karen Harle is a gifted craft maker who has made some Christmas bunting and a luxury Christmas cushion. An ideal decoration for your home this Christmas. 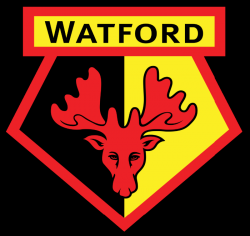 Watford FC, currently playing in the Premier League, are generously giving us a Watford FC pennant, signed by the current team. 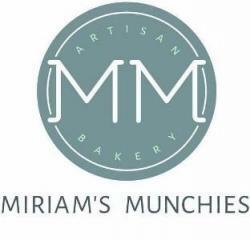 Miriam's Munchies is a London - based artisan bakery and coffee shop. 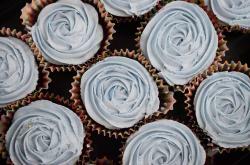 We bake a range of cupcakes, cakes, brownies, cookies, tarts and bespoke celebration cakes, all to order. We believe that quality is just as important as presentation hence why we use only the finest local ingredients to create the most delicious cakes you'll ever taste. Each and every cake we bake is specifically made for you and your occasion. We use high quality, seasonal and locally sourced ingredients, as at home when baking for friends or family. Many of our munchies are gluten, wheat, dairy, sugar, or egg free. We are happy to bake to your specific dietary requirements. We are offering a voucher, where two people can come and enjoy our bakery, retail space and seating area all in our one location . You can come and enjoy a cup of Birchall's tea or Monmouth coffee alongside a wide choice of our delicious handmade cakes, croissants, soups and sandwiches. Kellie James is an experienced and creative baker who regularly makes beautifully iced and decorated sponge cakes for a variety of celebrations. Kellie is offering to either make an iced sponge cake or a selection of decorated sponge cup cakes for the celebration of your choice. Harrow School Sports Club is an exclusive community-based club allowing members of the local community to utilise the sporting facilities of Harrow School. These include a 35 station fitness suite, a 25 metre, 6 lane swimming pool and dry-side facilities comprising 4 Badminton courts, 1 large Basketball court, an indoor climbing wall and indoor 5-a-side Football court. 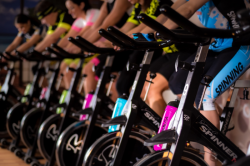 The lot is for a 3-month membership of HSSC which includes use of the Fitness Suite & Swimming Pool alongside other benefits such as group exercise classes, badminton and facility hiring discounts. Clare Metcalfe is a baby, child and family photographer based in Harrow on the Hill. 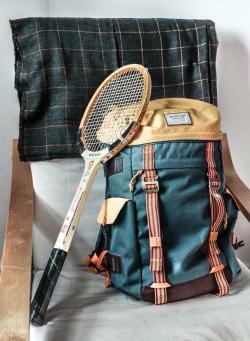 She loves to work both in the studio and also in the great outdoors in the area. Clients come back year after year to update their family pictures with natural and beautiful images produced in a fun, relaxed session. Clare prides herself on being able to work with children of all ages and temperaments to capture the child's personality rather than forced 'cheese' smiles. The lot is for a Mini-session and full gallery of digital images (usually 10-12 images). Mini session slots are 30 minutes long, and allow for 20 minutes active photographing time. After winning the lot you will be able to book your session at a mutually convenient time for you and Clare (including weekends, not usually offered for mini session bookings). Within two weeks of the session your images will be delivered in online gallery from which you can download and save you high-resolution images for unlimited personal use. Mini sessions are not suitable for new born babies or very large groups. 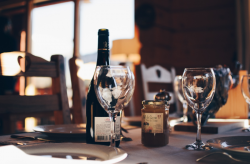 This is a chance to experience a special dinner for two at Harrow on the Hill’s exquisite family run Italian restaurant. Enjoy fresh, contemporary cuisine in an intimate and relaxed atmosphere. 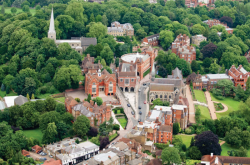 Set within the grounds of Harrow School, Harrow Lawn Tennis Club enjoys a very scenic location. 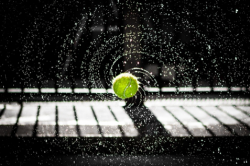 It has over two hundred and fifty members and in addition to playing social tennis, they enter teams into the Middlesex League every year. They also have teams in floodlit, ladies' and mixed leagues. They like to enjoy themselves off the court as well with an active social diary including: open days, barbecues, quiz evenings and Pimm's parties. The lot is for a single or family (two adults living at the same address and up to four children) annual membership, worth £141 and £253 respectively. The voucher will be valid until 31st March 2019 offering a total of 17 months membership. Helen Bailey (West Harrow) is a qualified teacher, specialised in Maths. She is an experienced personal tutor and works with children from 7 to GCSE level at 16 . 1 hour tuition at a local Harrow club is available to non-players and players alike. I coach a range of clients from top club players to 4 year old children, and people who have never picked up a racket before. If you have always wanted to play tennis, and were a bit embarrassed about starting, then this is the perfect place, I promise you. Or if you would like a clinic style lesson where we can enhance a specific area of your game, we can do that too. See you on court! The Young Vic is a theatre located near the South Bank. Its philosophy is to "produce great plays for great audiences now and in the future". The Young Vic primarily performs classic plays, but often in innovative productions. 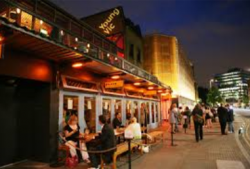 Many well-known actors have worked at the Young Vic including Ian Charleson, Vanessa Redgrave, Helen Mirren, Judi Dench, Timothy Dalton, Robert Lindsay, Willard White, John Malkovich, Michael Sheen and Arthur Lowe. This lot is for a pair of tickets to a performance of your choice at the Young Vic. Upcoming shows include: Wings with Juliet Stevenson, The Suppliant Women, Yellowman, How to win against History and The Brothers Size. 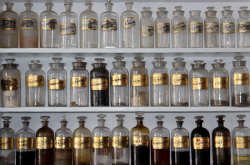 Rob Campbell is a qualified and experienced Chemistry Teacher. He is currently Head of Chemistry at St Clement Danes School in Chorleywood. He holds a BSC HON CHEM from Queens University Belfast and was recently awarded an MA in Chemistry Education from UCL. He is passionate about Chemistry and seeing young people achieve their full potential. With this in mind he is offering four hours of Chemistry Tuition for any student up to and including A Level. Do you love a good curry but always have to resort to ordering takeaway when you want an authentic tasting one? Well, here’s your chance to learn how to make a proper curry and save yourself a wodge of cash in the process! This lot is for a curry cooking lesson with Nimisha Mashru. There will also be the opportunity to learn how to cook Chapattis if you would like. 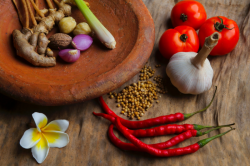 Nimisha will provide all the spices and you will need to bring along chicken (or a vegetarian alternative), onion, passata and any vegetables that you like in a curry. 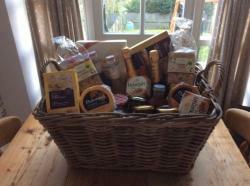 A large luxury hamper, kindly donated by Harrow School. Have you ever wondered what it’s like to have a personal trainer? If you’re imagining someone with arms the size of your legs, shouting orders left right and centre and sweating buckets of protein then STOP! I am not Arnold Schwarzenegger (sadly. . .), but I am passionate about seeing people transform and achieve goals they never thought they could, and I love to do that through fitness. I am offering 1 consultancy session (30-45mins) and 3 personal training sessions (1 hour each). What you want to get out of sessions is up to you, whether it be losing weight, getting faster or stronger or simply having fun! As a freelance PT I’m not attached to a gym, so the sessions can either take place at your home or local park of your choice. So if you want a challenge and some fun, get bidding! 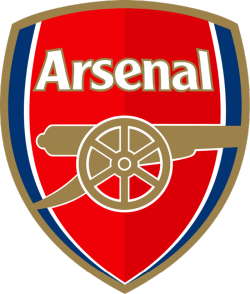 Arsenal FC, the Premier League team, have generously donated an A4 signed photo of the current team. The photo comes with a certificate of authenticity. 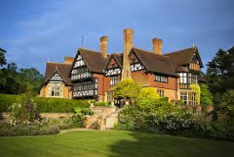 Steeped in history, the Grim’s Dyke is London’s premier country house hotel and is a Grade II listed building set in 40 acres of beautiful formal gardens and tranquil woodlands yet just 12 miles from the West End. There is a truly unique and peaceful atmosphere which provides a relaxing oasis so close to the bustle of London. Enjoy an Afternoon Cream Tea with delicately prepared hand-made sandwiches, cream cakes, scones served with clotted cream and jam, and a wide selection of teas and coffees. Served in our Drawing Room, Gilbert’s Restaurant or the Library Bar dependent on bookings. 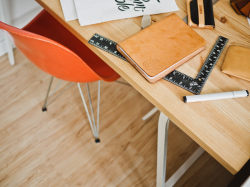 Do you want to grow your business in 2018? Do you dream of increasing output without having to work harder. Then look no further - there are some simple shifts that are possible to achieve this. In this 90 minute session we will look at your business goals and identify what you can do to grow your business in 2018, and keep your life on track too. Why me? I am an ex-Marketing Director for global hi-tech companies, and have completed a number of transformational programmes in the NHS. I now support business leaders to grow their productivity in business without having to sell their soul! 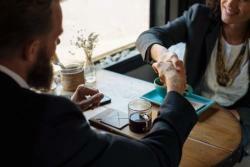 I specialise in creating clear and well targeted visions that truly connect with your ideal customers, and align completely who with you are. This session can take place in Harrow or via video conference. 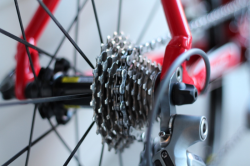 Are you a keen cyclist looking to take your sport to the next level? Here’s your chance to discover some of the most beautiful lanes in the Chiltern Hills whilst learning some basic riding skills including consistent cadence and drafting. Throw in some interval training and you’ll be feeling like a pro at the end of it! This lot is for a cycle ride of either 30, 60 or 100km in the Chiltern Hills with Rod Green . Rod is an experienced cyclist who is part of the Gregarious Superclub Cyclista and the Rapha Cycling Club and will also be able to advise you on the best kit and bikes on the market. Life coaching is all about actions which bring change. The method is profoundly different from consulting, mentoring, advice, therapy, or counselling. In coaching any topic can be addressed (i.e. personal projects, business/work, transitions in one’s personal life, relationships, profession etc) but the more specific the better! Then by examining what is going on right now in the person’s life, discovering what one’s obstacles or challenges might be, we can then start to choose/create a course of action to make your life be what you want it to be, and in turn accomplish some amazing goals. We are offering 3 coaching sessions lasting 50 minutes each. Our primary method to initiate change is through listening and questioning and offering observations, reflections and challenges. It is not our job to give you advice but help you navigate your own reality (thoughts, experiences, feelings etc) in order for you to take responsibility and take your own action. So if you find that you are stuck in an area of your life and want to see change come, life coaching could be for you! Daisy Birthing weekly classes, just for mums-to-be, are a mixture of movement, breathing and relaxation with antenatal education as you move. This means you are committing the movements to your muscle memory at the same time as understanding what it is doing for you. Classes help you during pregnancy with our gentle yoga based movements helping keep your ligaments and muscles in balance, helping you make room for baby and getting baby into the best position for birth. You will learn three different breathing techniques to help you at different stages of labour and of course lots of chance to practice. We also talk about different aspects of labour, some of the choices you might make, and what you can do to have the best possible experience. 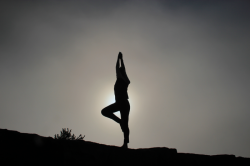 This is where all the movement and breathing practice comes into its own! Once we've done the movements we spend about 15 minutes doing some lovely relaxation, a chance to lie down and close your eyes as we go through a guided relaxation. Of course, there is plenty of chat and laughter as you get to know the other mums and share your pregnancy journey. 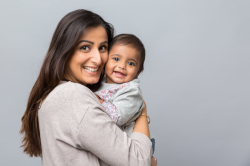 Many mums come for more than one term of classes - the more practice the better and once you know what you are doing it's much more relaxing! This lot is for a 6 week term of Daisy Birthing Classes in either Harrow or Pinner. Classes are suitable from 14 weeks pregnancy and you can attend right up until the end of your pregnancy. Harrow School dates back to 1572 and occupies a unique position on top of the Hill with breath-taking views of the surrounding area. With so much heritage, tours of the school are in high demand and Harrow welcomes over 10,000 visitors each year. The tour comprises buildings that are representative of the oldest in the School (including the Fourth Form Room and Speech Room), the expansion of the nineteenth century and modern developments . This lot is for a tour of Harrow School fro two people on a Tuesday or Thursday afternoon, followed that evening by a meal in one of the restaurants on the high street (such as Incanto or the Old Etonian) up to the value of £100. The organiser has advised it would be preferable to arrange the tour for the Spring when late afternoon daylight returns. Katherine Penhale is one of the trustees of Spear Harrow and a very keen cook. Having started learning as a child, it has long been one of her favourite pastimes and topics of conversation. Now that she has two young children, cooking is a definite form of therapy! Whether it be preparing well-loved recipes for friends and family or poring over recipe books in the search for something new and exciting to try. This lot is for three one-hour cookery basics lessons on the subject of your choice. Options include: casseroles, risotto, pies, cakes, pastry, meringue, bread and desserts. 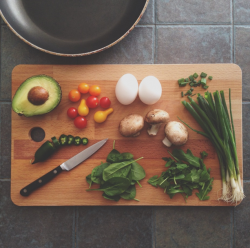 If you, or someone you know, would like to improve on your cookery skills, then this lots may be the one for you! Einstein said that the definition of insanity is to do the same things and expect a different result! In my 12 years as a Coach, I have found that it is not physical action that is always required, but a shift in thinking. 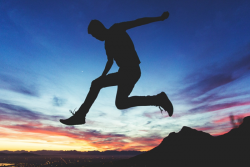 This 60 minute coaching session will be dedicated to finding the ONE belief that is stopping you, and to give you ONE action to help you improve your performance either in sport or in business. This session can take place in Harrow or via video conference.